Our trips are Designed for those who want more inclusions, Comfort trips offer a higher standard of accommodation, larger, roomier vehicles and more included activities. We know time is your most precious resource so we created a list of suggested itineraries to choose from so you can make the most of your visit to our enchanted destination. 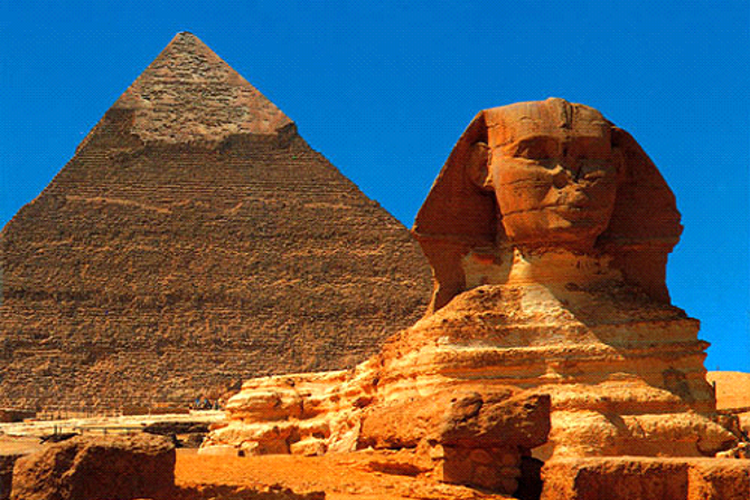 Begin your discovery of this timeless land with a visit to the magnificent Pyramids of Giza and enigmatic Sphinx. Walk in the footsteps of Julius Caesar and Napoleon as you enter inside one of these extraordinary creations. visit the Egyptian Museum, to see the treasure recovered from the Tomb of Tutankhamun. 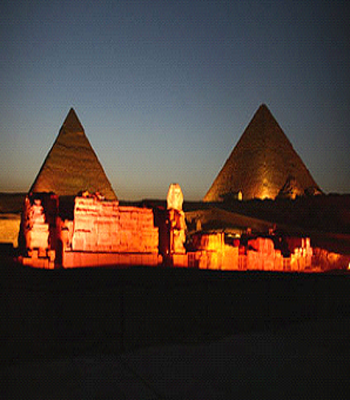 This evening attend a Sound and Light show at the Pyramids, which literally illuminates the history of Giza. This morning explore the well preserved temple of Horus, dedicated to the Falcon God. Then sit back and observe everyday life in rural Egypt as you float down-stream to Luxor. On arrival, visit the temple of Luxor, lost for centuries beneath the streets of the town. Cairo: Guided tour of the Pyramids and Sphinx; Visit Tahrir Square and the Egyptian Museum; Sound and Light show at the Pyramids.Aswan: Visit the High Dam and unfinished obelisk; Take a motorboat to the Philae temples; Sail in a felucca; Enjoy an onboard Nubian ShowKom Ombo: Witness the hieroglyphs temple.Edfu: Visit the beautifully preserved Temple of Horus, the Falcon God.Luxor: Visit the Temple of Luxor; See the Colossi of Memnon; Visit the tomb of Queen Hatshepsut; Enter some of Pharaoh's tombs in the Valley of the Kings; Visit Karnak. Day 1: Welcome to Egypt. Meet and assist upon arrival Cairo Airport, Transfer to your hotel, overnight. Day 3: Cairo Rise to view the treasures of the Egyptian Museum of Antiquities before its doors open to the public. Admire the world’s greatest collection of ancient Egyptian artifacts, including the treasures of Tutankhamun’s tomb and the Mummy Room, where some two-dozen ancient rulers lie in state. Afterward, a short drive takes you to Memphis, the ancient capital of Egypt, and Sakkara, home to the Step Pyramid of Zoser, the oldest known Egyptian pyramid. longest and most ornate in the valley. Continue your exploration with a visit to the Temple of Hatshepsut, Egypt’s first female pharaoh, and the Valley of the Queens. to the goddess Hathor, the cow goddess of love and music. Denderah was known to the Ancient Egyptians as Iunet or Tantere, and to the Greeks as Tentyris. It was the capital of the sixth nome of Upper Egypt. Cruise back to Luxor to explore the Luxor Temple, begun by Amenhotep III and completed by Egypt’s most renowned pharaoh, Ramses II. Inside the courtyard of Ramses lies the Mosque of Abu el-Haggag, which was built over a portion of the temple in the 19th century. Day 7: Luxor/Edfu/Kom Ombo Cruise to Edfu, the Greek city of Apollinopolis Magna, to explore the second largest and best-preserved Greco-Roman temple in Egypt: the Temple of Horus, the falcon-headed god. Egyptian galabeyyas and enjoy a lavish buffet of local fare, followed by Arabic music and dance. Egyptian religion. Continue to the granite quarries, site of the massive Unfinished Obelisk, where you marvel at the skills of Egypt’s stonemasons. Return to your boat for afternoon tea, served in the lounge. Later, sail around the Aswan islands in a felucca (sailboat), weather permitting. temples built by Ramses II. This evening, join fellow travellers for a special “farewell dinner” to toast your journey and swap stories about experiences, history and lore. Day 10: Cairo As your stay winds down, explore the Mosque and Madrasa (Koranic School) of Sultan Hassan. The Madrasa was designed so the four main Sunni characteristics, Shafi, Maliki, Hanafi and Hanbali, may be taught within the same compound. Later, a walking tour of Islamic Cairo takes you from one of the remaining gates of the city, Bab el-Fotouh, to the colorful stalls of Khan el-Khalili Bazaar. This tour is perfect for those who are interested in seeing the highlights of Egypt in a limited amount of time. escorted throughout Egypt by private Egyptologist guide and have private drivers in each location. Begin in Cairo. experience the city’s most interesting cultural attractions, neighborhoods and markets—our tours offer the most in-depth, sophisticated Cairo touring available. In addition to visiting well-known attractions such as the Citadel, Egyptian Museum and Khan al-Khalili bazaar, also tour our favorite neighborhoods filled with beautiful Fatimid, Islamic, Mameluke, Ottoman, Coptic and Art Deco architecture; well-preserved medieval residences formerly occupied by wealthy merchants; and fascinating markets and shopping streets. 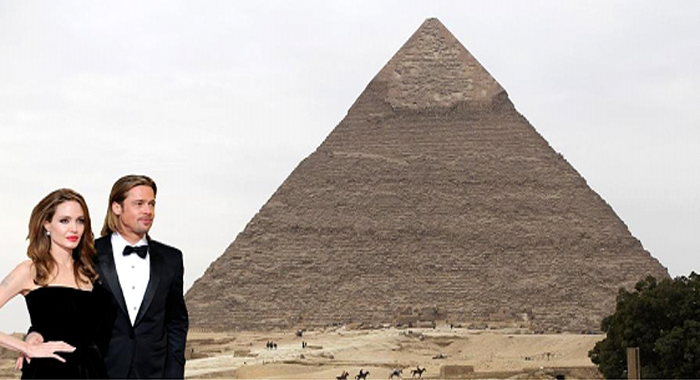 Also take a private excursion to the impressivePyramids of Giza. Fly to Aswan, considered Egypt’s loveliest city. Enjoy touring of Aswan’s highlights, including the stunning Temple of Philae. Your private Egyptologist will accompany you as you drive from Aswan to Luxor, stopping en route to visit the extraordinary archaeological sites along the Nile in Edfu and Kom Ombo. Next, explore Luxor, a bustling town built on the site of the ancient capital city of Thebes. Discover Luxor's most fascinating and important archaeological sites, including the Luxor and Karnak Temples and the Valleys of the Kings and of the Queens. After breakfast, begin full day sightseeing tour of Cairo. First visit Giza Plateau, located in the west bank of Nile, facing Cairo. 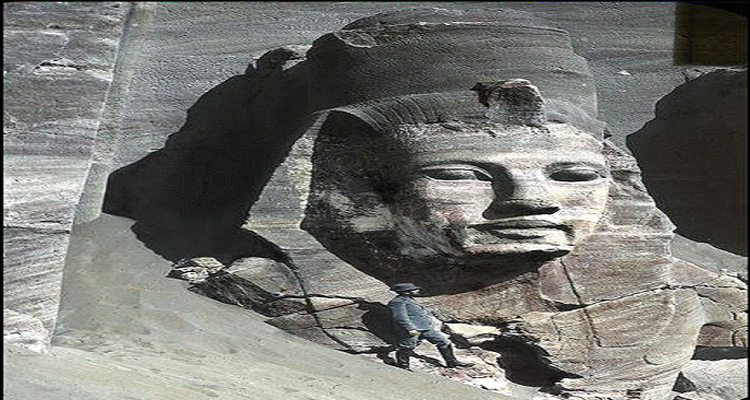 Cheops, Chepren and Mycerinus are the three pyramids we will see in this plateau and their guardian Sphinx, the lion body human head mythical statue. Later visit the world famous Egyptian Museum. The museum that houses the largest Egyptian collection with more than 250.000 antiques extending over the past 5000 years. Return to hotel. 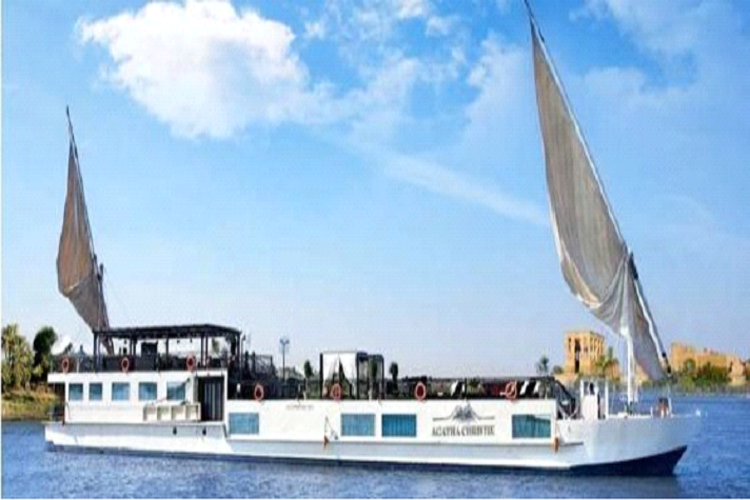 embark to Nile Cruise ship and have lunch on board. After lunch begin the tour in the enchanted Luxor, considered the greatest open air museum in the world. Cross the river to the eastern bank of Nile to see thetemple of Karnak and Luxor. After tour return to the ship for dinner and overnight. Breakfast on board. In the morning visit the West bank - Valley of the Kings, the Temple of Queen Hatshepsut and the Colossi of Memnon. Sail to Edfu, have lunch on board and will have free time at leisure. Overnight in Edfu. Today visit Edfu Temple, located in the west bank of Nile and dedicated to god Horus, the falcon god. Then sail to Kom Ombo to visit the temple that was built in Ptolemaic Roman era for the worship of god Haroeris and Sobek, the crocodile god. Sail to Aswan for dinner and overnight. After breakfast visit the remarkable Aswan Dam, considered as one of the outstanding architectural achievements of the 20th Century. 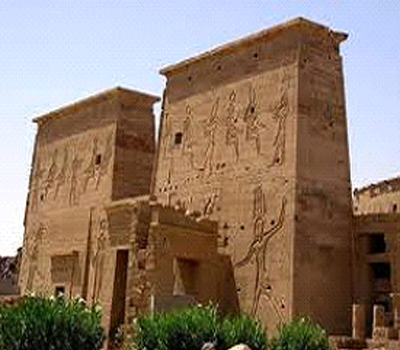 Then visit the Philae Temple, which was dedicated to goddess Isis. Lunch on board and sail on the Nile by Feluccas for the view of Elephantine island (or Kitchener’s island), view from boat. Dinner and overnight on board. Transfer to Cairo airport for flight back home. We meet you on your arrival in Cairo airport and transfer you to your hotel. Your first tour provides an introduction to the history of pyramid building, with visits to Zoser's step pyramid at Saqqara and of course the 3 main pyramids and sphinx at Gisa. You head into central Cairo today to learn more about Pharaonic history in the Egyptian Museum. Other visits include the mosques and palaces in the Citadel, ancient churches in Coptic Cairo, and the busy shopping streets of the Khan-el-Khalili bazaar. In the evening, you transfer to the station for the overnight sleeper train to Luxor (flight upgrades available). · Luxor - Karnak and Luxor temples. Board Dahabiya. 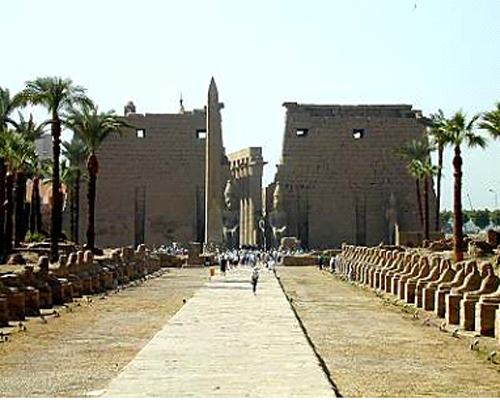 After arriving in Luxor your first tour is to the huge temple complex at Karnak. After boarding your Dahabiya and settling in, your afternoon is free to relax and explore Luxor further. In the evening you visit Luxor temple before enjoying your first of many special meals on board. This morning's tour heads across the Nile and explores several sites on the West bank including the Pharaonic tombs in the Valley of the Kings, Queen Hatchepsut and Medinat Habu temples and the Colossi of Memnon. As a private tour, this and all your sightseeing is flexible, and you could also visit the Ramesseum, Workers village, Valley of the Queens and other sites on the west bank if you wish. You also have the option this morning of a very special early morning hot air balloon flight. After leaving Luxor our cruise begins sailing towards Esna which will be our first stop. 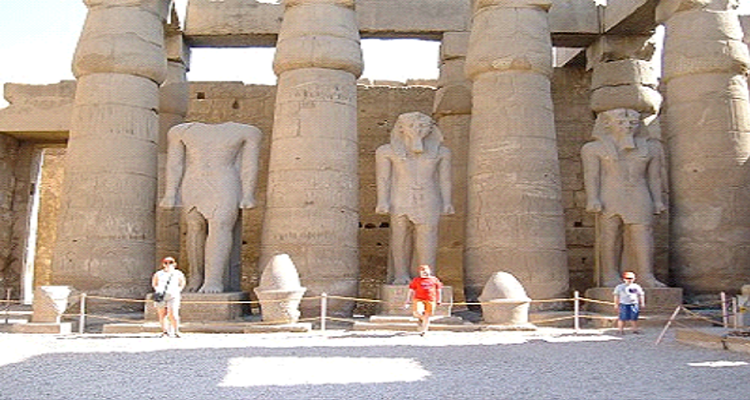 Whilst here you will have time to visit Esna town and also the Temple Khnum. The evening is spent onboard in Esna. Continuing south along the Nile to Edfu, we pass the El Kab Tombs which date back to the 18th Dynasty and will be able to view them from the deck of the boat. After arriving into Edfu we have a guided tour of the Temple of Horus, which is one of the best preserved temples in Egypt. The evening is spent on-board close to Edfu. Today we head for Komombo Temple and along the way we will stop to enjoy a BBQ lunch beside Al Ramady Island. Whilst sailing we will pass the Silesia Temple and sandstone quarries which you will be able to view from the deck of the boat. Today begins with an extensive tour of Komombo Temple which was dedicated to the gods Sobek and Haroreris. As we continue sailing towards Aswan we have time for a BBQ lunch on Herdiab Island. Sail on to an island outside Aswan. We continue sailing to Aswan this morning where we have a day of tours to visit the High Dam, Unfinished Obelisk and Philae temple. After lunch onboard we have an afternoon visit to the Nubian museum. This morning you have the option of joining the early morning convoy to Abu Simbel, the amazing reclaimed temple of Ramses the Great. If you choose not to visit Abu Simbel this morning then you have some free time to explore Aswan. 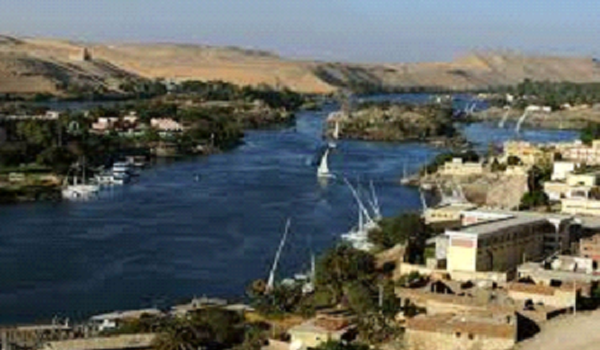 In the afternoon we include a Felucca trip to Elephantine Island. In the evening we board the overnight sleeper train to Cairo. We arrive back in Cairo during the morning and the rest of the day is free for you to explore the city some more. We can also arrange an optional day trip to the nearby city of Alexandria or out into the deserts to visit the UNESCO World Heritage site at Wadi Rayan and the Valley of the Whales. Your tour comes to an end today. You have some free time in Cairo until we transfer you to the airport for departure. On arrival at Cairo Airport you will be met by our representative who will transfer you in an air conditioned vehicle to your hotel, the magnificent Grand Hyatt in Cairo. This hotel, situated on Roda Island on the banks of the Nile, will be your home for the next three nights. This hotel provides the modern traveller with every luxury they require from its shopping and leisure centres, cinemas, private yacht and other world class facilities. Included at the hotel site are a number of world class Western and Middle Eastern restaurants. Today is one of the highlights of you time in Egypt. 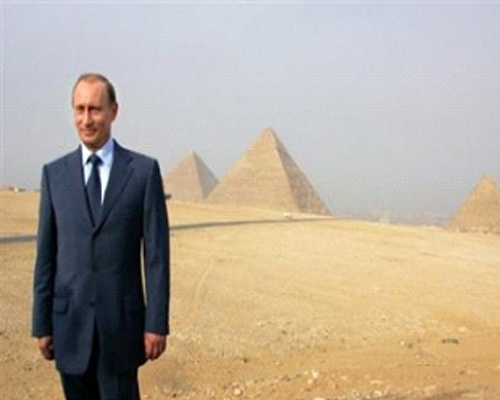 After breakfast, you will be collected at the hotel for your tour of the Pyramids, out of Cairo. You will spend the morning being awestruck by these marvels of the ancient world, as you look over the main Pyramids and the Sphinx. After your visit to the pyramids, you will be taken for a camel ride in the desert around Cairo. Following this, lunch will be provided at a local restaurant, the Mena House. After lunch you will be returned to the hotel and the rest of the day and evening is yours to do as you please. After breakfast the boat will take you to visit the stunning West Bank of the Nile. The tour will take in famous Valley of the Kings and Queens, home to the tomb of Tutankhamun (or King Tut as he is known to many). Also included on the tour is a visit to the Temple of Queen Hatshepsu, a wonderfully preserved temple on the banks of the Nile. After breakfast, your first excursions will be to the High Dam, which before it was built the Nile would flood annually from the tropical southern rains. After your visit to the dam, you will visit the Temple of Philae and the unfinished Obelisk on the banks of the Nile. This is one of the most peaceful temples in Egypt, built to honour the Goddess Isis. After lunch and afternoon tea on board the Royal Lily, you will spend the afternoon on a felucca ride around Kitchener Island. The felucca is the traditional wooden sailing boats seen on the Nile. 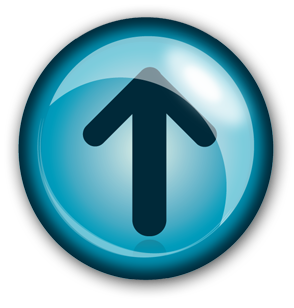 fter breakfast you will check out of the Marriott Red Sea and be collected by our transfer driver. There you will be taken to the airport to check in for your flight to your final destination. DAY 01: Thursday - Depart to Egypt today. DAY 02: Friday - Upon arrival at Cairo International Airport, you will be met and assisted through customs and formalities, then transferred to your hotel. Balance of the day is at leisure. Overnight in Cairo. Visit the Egyptian Museum of Antiquities, which houses the world's largest collection of artifacts from the era of the pharaohs including some belonging to King Tut. Tour Old Cairo, where early Judaism and Christianity flourished in Egypt. 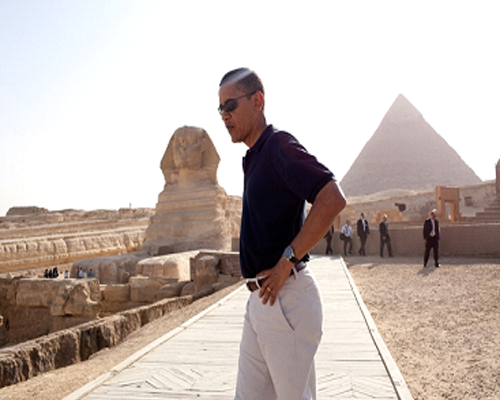 Visit the Great Pyramids of Giza and the defending Sphinx, which have stood for the last 5000 years. Then on to ancient Memphis, the first capital of Upper and Lower Egypt. Also visit Sakkara, site of the Step Pyramid of Zoser. Travel by horse-drawn carriage to the Temple of Horus, the best preserved of all the large Egyptian Temples. Cross the Nile to the West Bank. Visit the Necropolis of Thebes, Colossi of Memnon, Queen Hatshepsut Funerary Temple, and the Valley of the Kings and Queens. Roundtrip Air From New York (JFK) To Cairo. 5-night hotel accommodation in Cairo, including breakfast. 4-night Nile cruise, in Junior Suite Outside Cabin, including all meals. 4-night hotel accommodation in Hurghada, including all meals. Transportation provided by air-conditioned motor coach. Private car transfer between Luxor and Hurghada.